The next week has a period of intense cold coming to central Ohio. 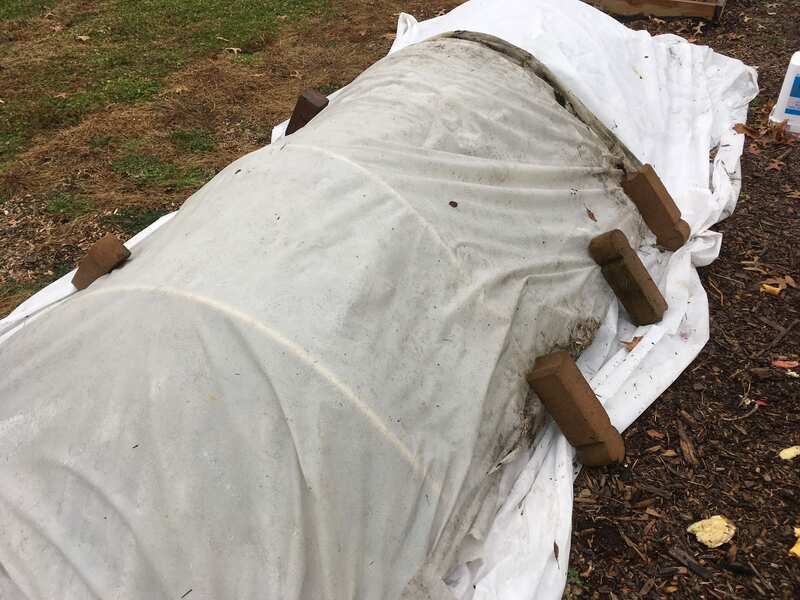 Grower’s who planted spinach under low tunnels using row cover should make sure that they have a second layer of frost blanket covering the planting and that the row cover is weighted securely against wind shear. While there is a good chance that a full harvest amount of spinach is present, we have not had a warm enough day to break the micro-climate to check. Be patient, there is usually a chance for a significant harvest in February. 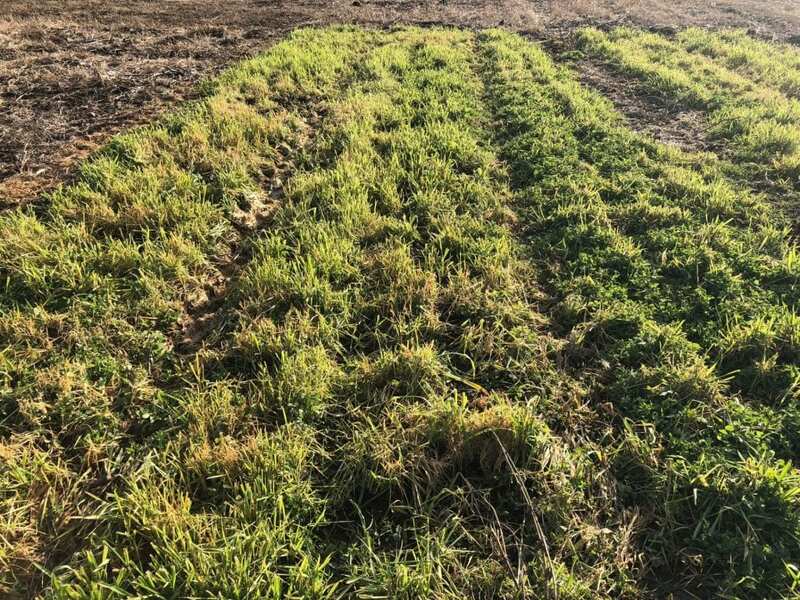 The period of warm and wet weather we had earlier in winter provided a chance to get good growth on winter cover crops. 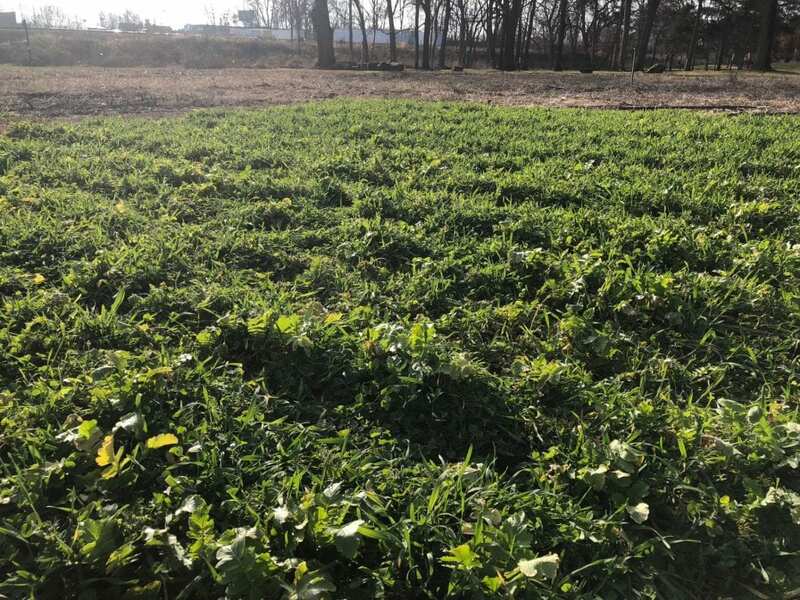 If you were unable to get cover crops planted this year, as you make your 2019 planting plan, try to add cover crops into your rotation to keep a living cover on your ground. It adds organic matter, prevents soil erosion and builds fertility. A mix of winter rye, forage radish, crimson clover and hairy vetch. This mix is cold hardy and will persist into spring, starting a period of intense growth when the weather warms up. The winter rye mix will require intensive management in the spring. This plot contains a mix of oats and Austrian winter peas. This mix is cold tolerant but not hardy. It should die following the upcoming period of intense cold. The residue will act as a ground cover protecting the soil that will incorporate easily into a seed bed via tillage in spring. Artichokes – a tender perennial not generally grown in central Ohio, this crop can be grown as an annual if started early indoors. Perennial herbs such as thyme and oregano. The seeds are extremely tiny and take weeks to germinate. Lettuce, cabbage-family – this assumes some risk due to weather pressure. I will start a small amount now looking to plant outside around late Feb under season extension. Start another small batch every two weeks for the next month or two to have a steady harvest. Leeks – seed takes awhile to germinate. Transplants will be ready to go outside in March if started now. 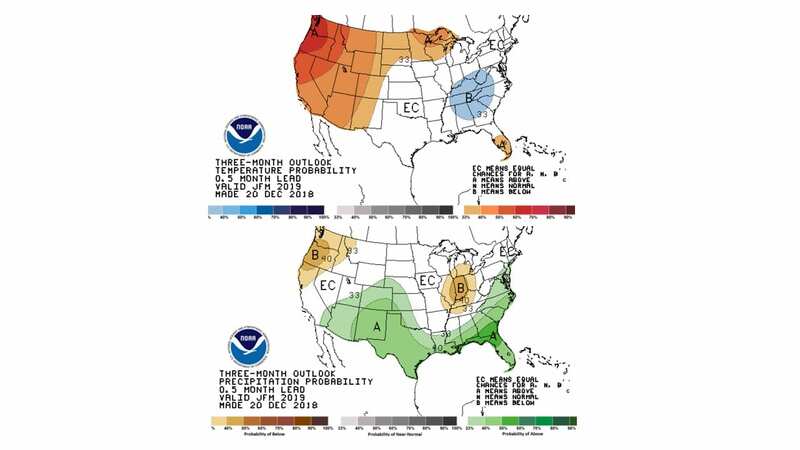 The three month forecast for temperature and precipitation is calling for colder and dryer than normal weather. There is a 65% of an El Nino weather phenomenon to form in spring. That will certainly affect backyard growers, community gardeners, and urban farmers in Central Ohio. CLICK HERE for the NWS/NOAA Weather link. 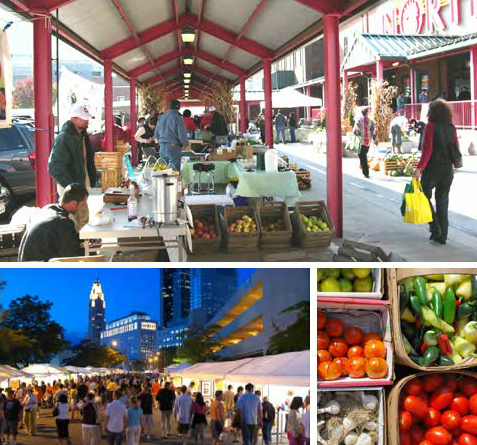 Keep an eye on Growing Franklin for further updates as we progress through the growing season. Posted by Timothy McDermott at 12:16pm Posted in Cover Crops, Events, Season Extension. Bookmark the permalink.